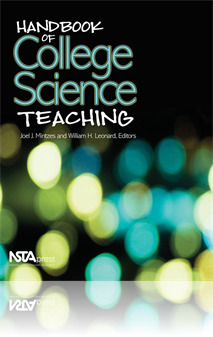 This chapter describes general procedures for research on college and university science teaching, examples and benefits of several very different research models that can be used, examples of published studies, and suggestions on how to get your research published so that other instructors of science may benefit from your findings. Another goal of this chapter is to invite and encourage science instructors in higher education to use research on their teaching on a regular basis to continuously improve their teaching effectiveness. This book chapter is an overview of the different types of research a teacher practitioner might conduct in order to inform his/her practice. The author quips that many books have been written on how to design an experiment to test a research hypothesis. He attempts to provide an overview of the process so that teachers can consider possible ways to design their individual research questions. A separate section is devoted to action research; this form of research can inform instructors of how to best stage student learning in their classes. If it has been a while since you took a research methods course, this book chapter will remind you about such things as experimental and quasi-experimental research studies, qualitative vs. quantitative research, and the need for IRB (Institutional Research Board) forms to be filled out when human subjects are involved.